Jenny is an established conference and private event motivational speaker. 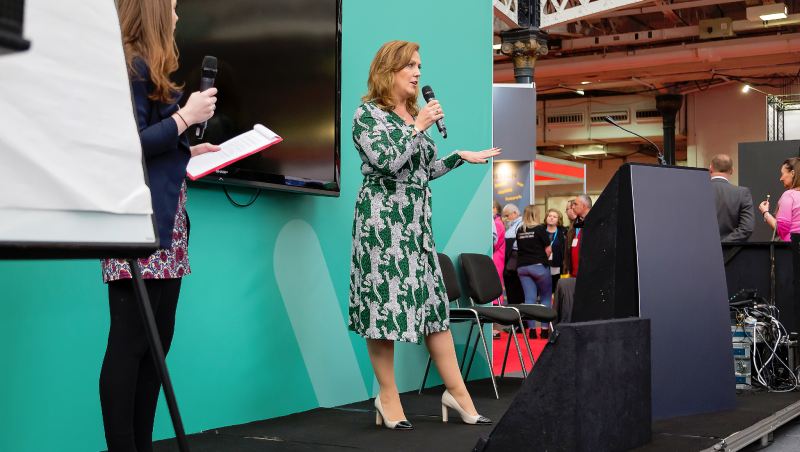 Her wealth of experience in business, from her time in corporate banking, through her transition into entrepreneurialism and now as an investor in her role on Dragons’ Den makes Jenny a quality choice for speaking engagements. Stepping onto the stage with confident poise, Jenny inspires audiences with her story and philosophy on drive, dedication and determination to achieve success. Champions After Dinner Speakers are joining up with HSBC UK for their upcoming event. 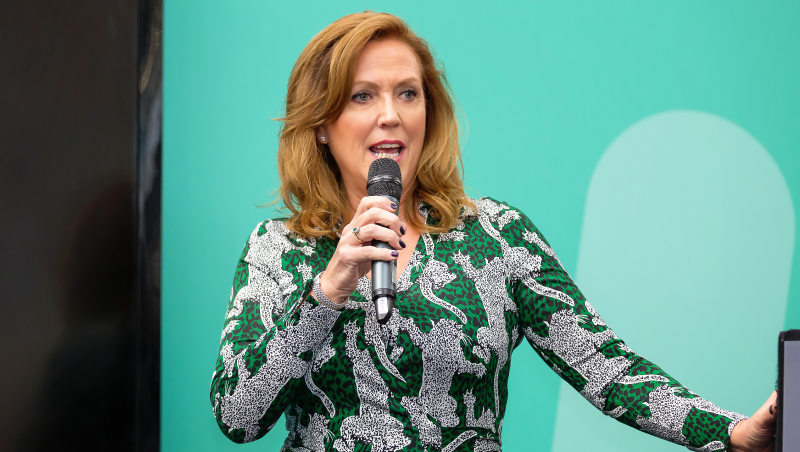 Our management team will deliver the services of the award-winning businesswoman, entrepreneur and Dragons’ Den investor, Jenny Campbell. Jenny is going to be the Keynote speaker at the bank’s spectacular new headquarters in Centenary Square, Birmingham. The speaking engagement takes place on Wednesday 12th December, welcoming numerous key figures from HSBC UK’s banking empire. Addressing delegates with a keynote speech remarking on her own experiences in banking, Jenny is set to give a powerful and authoritative speaking performance. Delving into her personal journey which saw her elevate her career from an entry-level cash counting role at 16 to CEO and Business Woman of the Year in 2014, Jenny will inspire guests with the story of her remarkable rise. Weighing in on her personal development and rise through the banking system – Jenny’s experience and insight will be proved beneficial to all in attendance. Jenny was perhaps most noted for her role in turning Hanco ATM Systems into a profitable institution following years of failure, rebranding it as Your Cash, circumnavigating the financial crash and later selling the business for £50 million. The Champions Speakers agency specialise in bringing high-profile speakers for various corporate and private engagements. Gordon Poole Agency partner with Jenny Campbell to deliver a keynote speech for Cancer Focus Northern Ireland. The UK’s longest established Talent Agency and Speaker Bureau Gordon Poole Agency are working with Jenny to deliver a speech at a Ladies Corporate Breakfast for Cancer Focus Northern Ireland. The breakfast meeting is taking place on Wednesday 23rd October 2019 in Belfast to celebrate its 50th birthday. Established in 1969, Cancer Focus NI is the oldest cancer charity in Northern Ireland and provides care and support services for cancer patients and their families, carries out cancer prevention work in the community and advocates for better health policy. October is breast cancer awareness month and the proceeds from the Ladies’ Corporate Breakfast will go towards funding pioneering new breast cancer research at Queen’s University Belfast. 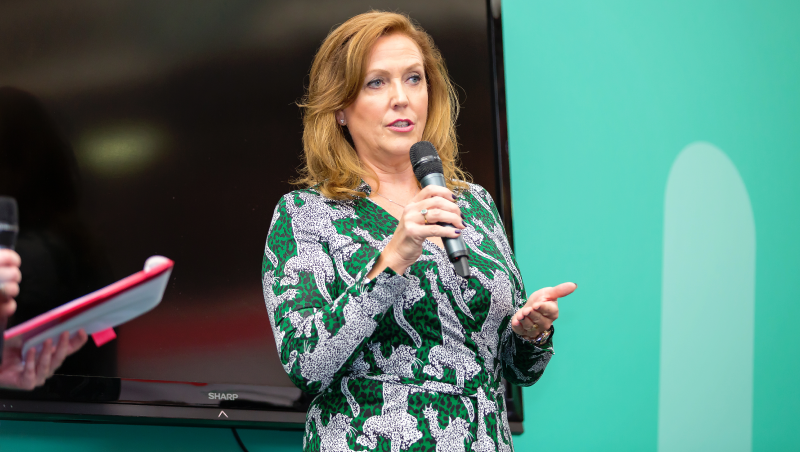 In her speech, Jenny Campbell will inspire businesswomen across Northern Ireland to be successful in the corporate world, empowering them to aim high and achieve their goals. Agent and MD, James Poole said, “we love working with Jenny and her team. As an in-demand motivational speaker, business leader and mother of two, Jenny is well placed to provide inspiration and advice on how to juggle work with the demands of family life”.